SPEAKERS BEFORE CHICAGO WOMAN'S CLUB DISCUSS IT. CHICAGO, March 22. -- The Chicago Woman's Club had a symposium yesterday afternoon on "The Theater," in the course of which various well-known Chicagoans discussed plays, players and playgoers, all the way from Sophocles to ten twent', thirt' in [Halsted] street. 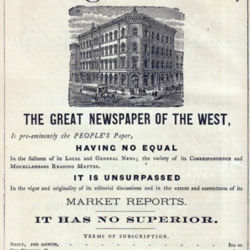 It was decided, with the assistance of such speakers as Miss Jane Addams, Prof. Robert M. Lovell, Mrs. Charles Henrotin and James O'Donnell Bennett, that the theater was a good institution, on the whole, though susceptible of being improved considerably. 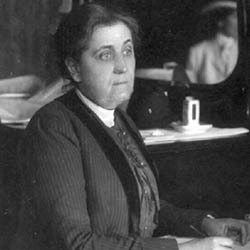 Incidentally, Mrs. John Buckingham, chairman of a committee of club members, told of the improvement work the committee is planning in the establishment of a "players theater" in Chicago, in which art will be everything and gate receipts nothing -- that is, will count for nothing. 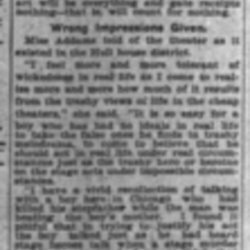 Miss Addams told of the theater as it existed in the Hull house district. "I feel more and more tolerant of wickedness in real life as I come to realize more and more how much of it results from the trashy views of life in the cheap theaters," she said. "It is so easy for a boy who has had no ideals in real life to take the false ones he finds in trashy melodrama, to come to believe that he should act in real life under real circumstances just as the trashy hero or heroine on the stage acts under impossible circumstances. "I have a vivid recollection of talking with a boy here in Chicago who had killed his stepfather while the man was beating the boy's mother. I found it pitiful that in trying to justify his act the boy talked just as he had heard stage heroes talk when a stage murder had been committed. I do not think that he meant to murder his stepfather; he simply thought that he ought to act melodramatically." As for modern vaudeville, Miss Addams thought that it was beneficial, because it was satirical, because it epitomized every day life, and because it allowed the theatergoer who was tired of life to "get outside of it for a little while and watch the others." Miss Addams considered the theory laid down by some one or other that theaters caused wife desertion. "It has been said that the theater tended to preserve harmony in the home as long as a man and his wife had only two babies," she stated, "the idea being that their minds were attuned in seeing and hearing the same play, and if they took the babies with them there was a lap a piece for the babies to sit on. When the third baby came, of course, there was trouble. I don't know how true this is, but I believe there is something to it." 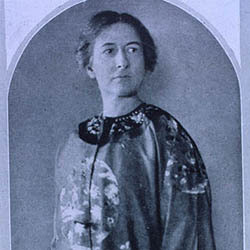 Harriet Monroe said theaters were "dream houses." "They take humanity away from the dirt and unhappiness of life and feed imagination," she stated. "It is starved imagination that makes most of the drunkards of Chicago and makes small boys form holdup clubs. We must give the people beautiful dreams, and then they will rise to a new life and carry us and the world up with them." Mrs. Henrotin said that most modern actresses were "fashion plates." "They appear to think that all that is required of them is to be beautifully dressed -- that intelligence and animation is not essential. They have a bad influence on young girls." "Theater is Not Such a Bad Institution," Indianapolis Times, March 22, 1906, p. 5. 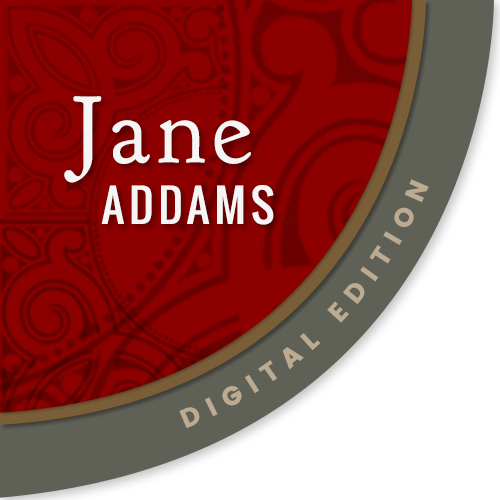 Addams, Jane, “Comments at "The Theater" Symposium, March 21, 1906,” Jane Addams Digital Edition, accessed April 25, 2019, https://digital.janeaddams.ramapo.edu/items/show/8199.